“Blatchford is not a business as usual development,” the City said about this revolutionary project. “It’s a new way to design a community. A new way to approach sustainability. 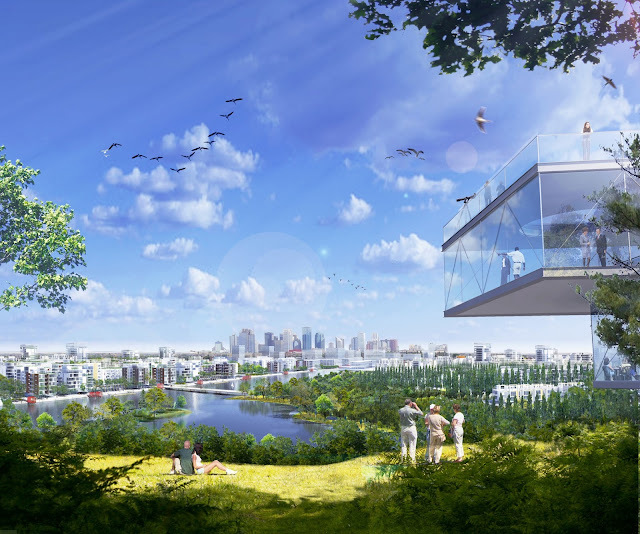 A new way to live.” The Blatchford project will epically transform 536 acres of prime land right in the middle of the city, from the old City Centre Airport into a family-oriented, all-inclusive, sustainable community, and a home for up to 30,000 Edmontonians. A view of what the Blatchford Project could look like. This “pop-up” neighbourhood will rely on 100% renewable energy and will proudly boast about how it will be a carbon neutral zone, leaving a small ecological footprint on land that once belonged to small aircraft since 1929 until the airport was finally shut down entirely on November 30, 2013.